Professional sweeping, for parking areas, highways, construction site cleanup, emergency spills or other. Curbco is a NAPSA-certified sweeping company with a full line of broom and vacuum sweepers. We are also a Michigan-certified industrial waste hauler. 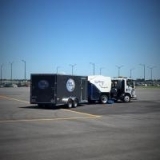 In addition to all types of sweeping, we offer: snow removal and all types of asphalt maint. svcs. MAINLINE SWEEPING, LLC offers complete roadway, construction and milling sweeping throughout the Greater Detroit Metro area. How may we help you? 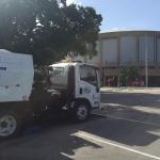 West Michigan Sweeper offers a number of sweeping service options, including daily, weekly, biweekly.